Citizens are taking to online platforms to participate in the political process more than ever before. Citizens are taking to online platforms to participate in politics and the political process more than ever before, say analysts. Fuseware MD Mike Wronski says social media functions as a societal equaliser, where anybody with Internet access can make their voice heard. "The low barrier to entry, veil of anonymity and ease of building a large following are some primary reasons for [the increase in online activism]," says Wronski. Political analyst Fabian Scherer adds to this by saying online protest and activism are simply a manifestation of offline protest. "When people are unable to use the conventional offline forms of activism, which include voting, boycotts and non-violent protest marches, because of prevailing political conditions, they simply take to online activism through online petitions and online campaign donations." 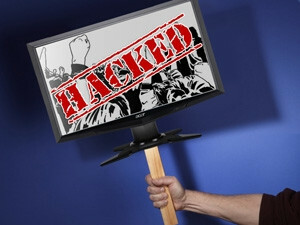 According to Scherer, hacktivism seems to be a growing trend for a number of reasons, including a growing middle and educated class, exposure to new media, the influence of the so-called global village and globalisation, bleak economic prospects and the pursuit of democratic tenets. "When political conditions do not allow for transgressive forms of participation, specifically civil disobedience, which would include sabotage, wildcat strikes, sit-ins, barricades, political theatre and so forth, an online version of this form of protest takes root," he explains. "As such, Web site defacements, denial-of-service attacks, information theft and virtual sabotage become a manifestation of offline civil disobedience." Wronski adds that the perceived level of anonymity in online conversations is a primary driver of a general perception that one cannot be prosecuted for cyber attacks. A number of government parties and groups have fallen victim to online protesters in the past few months. Last month, the African National Congress (ANC) Web site was hacked by Zimbabwean activists claiming ties to the global hacktivist group Anonymous. The attack appeared to be linked to South Africa's stance on the ongoing political crisis in neighbouring Zimbabwe. The group using the Twitter handle "@zim4thewin" took to the social media platform to warn the ANC of the impending attack. It posted a tweet reading: "Tick tock tick tock, your site will stop working in 40 minutes. Think about all the blood on your corrupt hands when it is down." In a similar attack, the Independent Online (IOL) Web site was hacked in June, reportedly for publishing a story in support of Zimbabwean president Robert Mugabe, allegedly by the same hacktivist group, although this has not been confirmed. The group tweeted: "@iol your Web site is tango down for supporting the dictator Mugabe #Zimbabwe #Africa #Anonymous." Meanwhile, earlier this week, Mugabe offered a $330 000 reward to anyone who can unmask a whistle-blower behind a string of leaks on Facebook regarding Mugabe's alleged corrupt regime, alleged assassination plots and claims of police brutality. In May, whistle-blowers had their personal details published online after a cyber attack on the South African Police Service (SAPS) Web site, supposedly in retaliation to the Marikana shootings. Tweeting from Twitter handle @DomainerAnon, the hacker posted: "South African Police saps.gov.za e-mails Leaked... #OpMarikanaMiners We did Not forget #Anonymous." In December, the Web sites of the social development department, the Presidential National Commission and the National Population Unit were hacked by H4ksniper. The hacker allegedly claimed the reason for the attack was because SA was supporting Western Sahara and was "a long time enemy" of Morocco. Scherer believes online attacks are successful in achieving political objectives and resonate strongly with the aggrieved or protesting population. Nozipho Mngomezulu, partner at Webber Wentzel, will discuss social media and the law at the ITWeb Social Media Summit on 14 and 15 August, in Bryanston. The relationship between freedom of expression and social media will be unpacked, as will who is responsible for content posted on social media Web sites. Book your spot at the summit today. However, he says while government is paying attention, this is usually preventative and characterised by the ban on social media Web sites and the crackdown on undesirable Web sites and underground groups that perform hacktivist activity in some countries. "Some governments actually spend a lot of money on resources to monitor developments on social media Web sites and alternative media sites, in order to respond to unfavourable government perceptions created by such platforms," notes Scherer. Wronski echoes Scherer's statement, saying governments worldwide are trying their utmost to control and monitor access to the Internet, "which is arguably the most powerful invention we've ever made. "Governments are definitely paying attention [to online activism], and one can hope that they will use this platform as a means to engage in meaningful dialogue with their citizens."